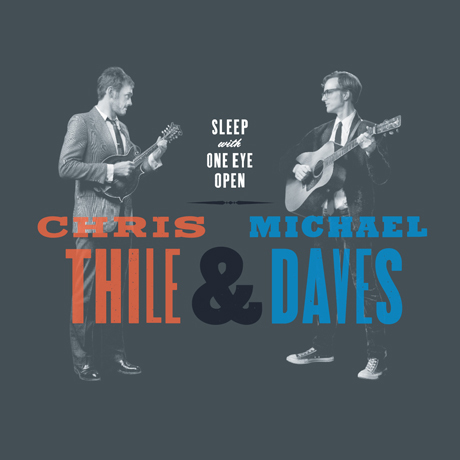 The third installment of Fiddlefreak’s series on new mandolin-guitar duos features a record from Chris Thile and Michael Daves titled Sleep with One Eye Open and released today on Nonesuch Records. 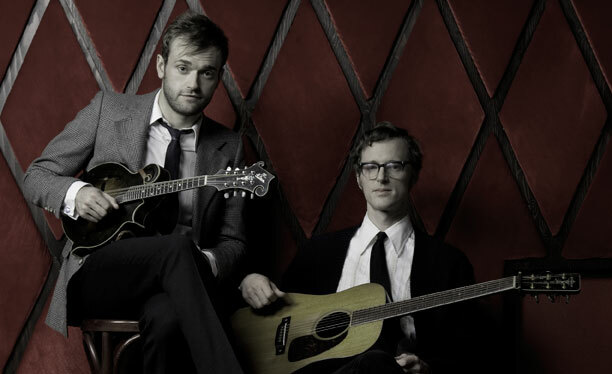 We all know mando virtuoso Chris Thile from his days with Nickel Creek and more recently the Punch Brothers, but Michael Daves may not be as familiar to most folks. Not many guitarists could keep up with Thile lick-for-lick, but Daves does just that, and sings his heart out as well. In fact these two guys manage to bring a deliciously frantic, young-punk enegy to a repertoire usually reserved for staid, middle-aged bluegrassers. One Eye Open is my favorite release so far this year. Recorded live to tape over four days at Jack White’s Third Man studio in Nashville, TN, the album is a collection of 16 traditional tunes by bluegrass legends like The Monroe Brothers, The Louvin Brothers, Jimmy Martin, and Flatt & Scruggs. Says Thile, “Jack was really, really generous and let us cut the whole record at his place on his beautiful two-inch eight-track machines. It was just so much fun, man, like records ought to be—all ribbon mics and not that many of ‘em, and singing into just one RCA 77. It’s just like we do live, huddled around a microphone doing our best. JUST IN FROM MICHAEL DAVES: Chris and I also have a 7-inch vinyl single coming out May 24 on Third Man Records. These two tracks are produced by Jack White and are separate from the Nonesuch release. A limited edition of 100 tri-color vinyl singles will be available on the release date only in Boston at Newbury Comics – Faneuil Hall, where we’ll be doing a short in-store appearance. The standard edition pre-sale is now underway at http://thirdmanrecords.com. Love them, Stu! Thanks for the post. 🙂 I think that’s a must buy. Awesome video Stuart, thanks for the link. I guess Chris Thile likes to stay busy…the Punch Brothers debut “Antifogmatic” was fantastic. I met you at the Annex. That was such an Awesome Show. Ive been spredding the news about the band and blog.